Look, we get it. You’re a cat nut. We understand. You’re sitting there right now reading CatConcerns.com so we know you’re a cat nut. But what about the rest of the world? They all think you’re perfectly normal. They’d never guess that you’d sit in one position for 3 hours because your furball looks so darn comfortable. 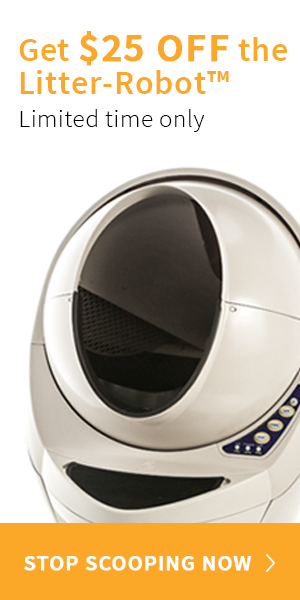 Or that you hold entire conversations with your cat in a voice that most humans reserve for actual babies. You need to shout it, loud and proud: I am *nuts* about cats. And what better way to do that than by emblazoning it across your chest, or perhaps even your HEAD? Don’t panic, we’re not advocating extreme, cat-inspired tattoos (although each to their own). 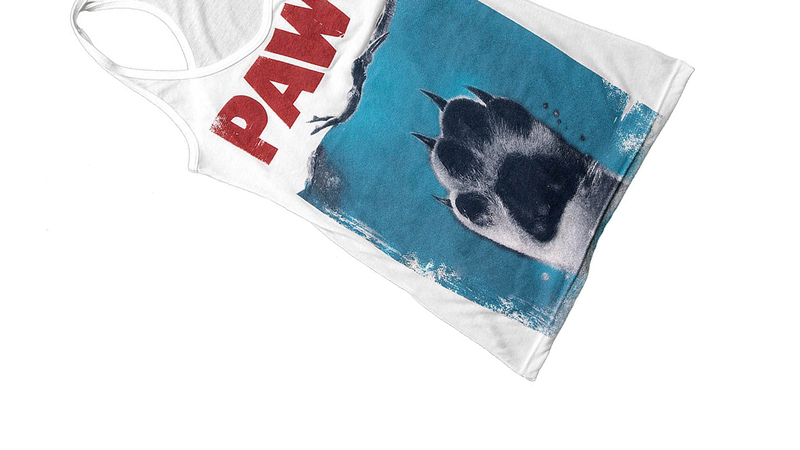 We’ve teamed up with our friends at AnimalHearted.com to bring you some awesome cat-themed apparel. 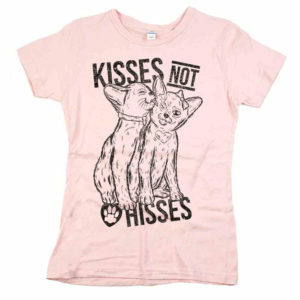 They have a whole bunch of amazing stuff over on their website, including shirts, hats and gifts with designs inspired by cats, dogs and a veritable menagerie of other pets. 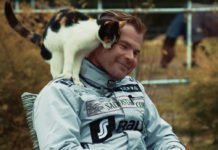 We’ll take a look at some of their top feline picks below. Sebastian and Bismarck. She’s stylish AND smart. 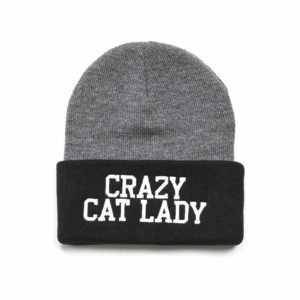 And that, dear reader, is why she’ll wear this “Crazy Cat Lady” beanie. Either ironically or balls out “Yeah, I’m a crazy cat lady. Deal with it”. We love crazy cat ladies. do you mean you have no idea what I’m talking about? Harry Potter! The biggest book and movie franchise of the past 20 years? Little English guy with glasses? Magic wand? Lives in a big boarding school for wizards? Is any of this familiar? If the answer is “Oh my God, YES! 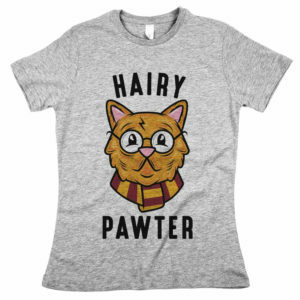 I love Harry Potter!” then this “Hairy Pawter” t-shirt could be for you. Combining your favorite pre-pubescent wizard with your favorite provider of cuddles. What could be better? Actually, “Indiana Jones and the Temple of Kittens” might just top it. You can have that for free, Animal Hearted. beanie, but there’s a consistent theme here. If you’re the sort of cool cat who can rock a beanie plus a sporty tank top combo then more power to you. 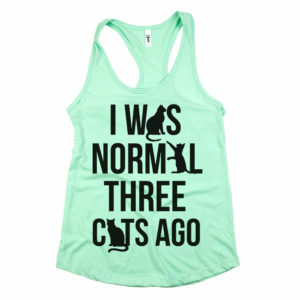 The less crazy crazy cat ladies among you may wish to keep this awesome t-shirt for the warmer months. As for the message, I’m inclined to think that 3 cats is the new normal, so the implication here is that you have 6 cats or more. Which is awesome. obvious. 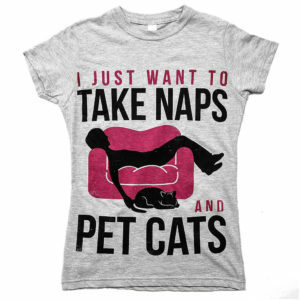 Who on earth DOESN’T want to take naps and pet cats? Is there really some monster out there saying “No, I choose sleep deprivation and definitely no cat petting”. It’s hard to believe. That said, it’s a nice reminder to keep your eyes on the prize. So why not buy this for yourself, or for that special napper and cat petter in your life? Duh-ruh. Duh-ruh. Duh-ruh. Du-ruh duh-ruh-duh ruh duh-ruh-DOODLE OOOOOO…when John Williams composed his iconic film score I bet he never imagined that one day someone would type out a phonetic version in an article about a cat-themed parody t-shirt of the film Jaws. I personally think that displays a shocking lack of foresight on his part, because here we are. 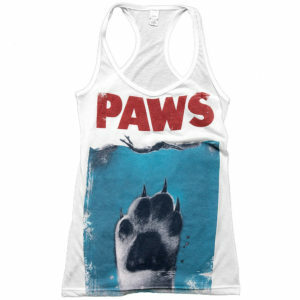 PAWS: just when you thought it was safe to go back into the kitchen. Cats share many traits with great white sharks. Both are relentless eating machines, both can sleep with their eyes open, and both can be brutal killers (just ask the tiny sparrow Andrew brought to the door the other day). But they’re also both incredibly beautiful, intelligent and they make great pets. Anyway, if you’d like to share your appreciation for early Spielberg with a touch of cat and a hint of pun, this is the shirt for you. ounce of snark. My snark well runneth dry. 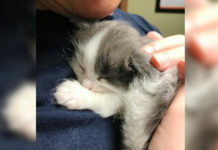 It’s just cute and if you have any heart at all you’ll already by checking out with this in your basket. 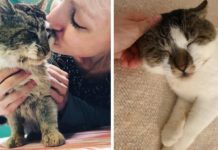 Previous articleAre These The UK’s Greatest Cat Names?